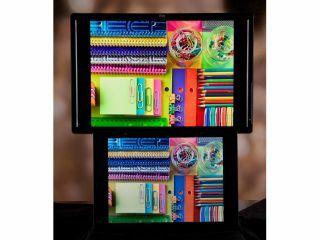 Billed as the ‘world’s first affordable colour-critical display’, the new HP DreamColour Display boasts 1 billion colours in a 30-bit LED backlit LCD. Currently LCD technology isn’t good enough when it comes to colour accuracy for imaging professionals, with most still using CRTs to colour correct and the like. The DreamColour Display is looking to address this problem. Speaking about the monitor, Ed Leonard, chief technology officer, DreamWorks Animation, said: “With the new DreamColor display, HP has broken through barriers that have existed in display technology for the past decade. The 24in monitor is out now in the states for an ‘affordable’ price of $3,499 (£1,750). There’s no news of it reaching our shores in the immediate future, but we will as always keep you posted.